General practice with emphasis on Social Security disability law, estate planning and family law. Evening and weekend appointments available. Office is physically accessible to disabled. Monday-Friday 9:00 am to 7:00 p.m., Saturday-Sunday 10:00 a.m. to 4:00 p.m. If you're contemplating a divorce, you could lose custody of your children and possession of your home. We can help protect your rights. We can negotiate a separation agreement that achieves the goals you want. Or we can petition a court to order the property settlement, spousal support or child custody terms you seek. Personal Approach Unlike larger firms, we understand that your situation is unique and requires individualized attention. We are empathic and give advice in easy-to-understand language. We arrange evening and weekend apointments to fit your schedule. Competitive Fees We offer reasonable rates. We can create a payment plan to fit your budget. And we accept all major credit cards. Full Service Unlike some firms that focus on only one area of law, we are a general practice with an emphasis on social security disability law and estate planning (wills and trusts). 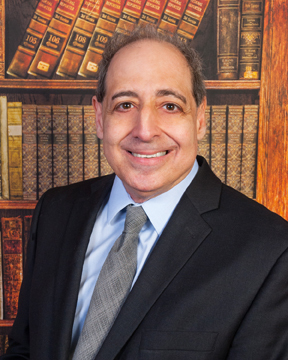 David A. Rubel is a member of the prestigious Bar Associations of the states of California and New York. He is a graduate of Rutgers University School of Law.